Why Not to Buy Car on Loan? We are a firm believer that to achieve financial freedom in life; one has to turn the liabilities into assets. If we analyse our spendings we will realise that most of us are buying more liabilities as compared to creating any kind of assets which accrues some profit or money for you or as a matter of fact appreciates in value. Thus one need to apply his mind while making a purchase and especially when it is a heavy investment and can ring on your purse for number of months. We will analyse the car buying habit to understand that how a liability can be converted into an asset. Let’s use the example of a car since we all know most cars are liabilities. 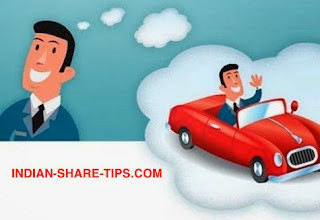 If you buy a new car for Rs 4 Lakh, then it is likely that it will lose the majority of its value in the first three years, but will eventually depreciate to about 20 percent of its original value by the time you actually pay off your loan (assuming a five-year loan). You therefore paid Rs 4 Lakh and used your car until it was worth close to nothing. Instead of buying a liability, think of how you can turn the same item into an asset. The same Rs 4 Lakh car is available used and has taken the majority of its depreciation in the first three years, and therefore can be purchased for 50 percent off that price. In many cases, it can be purchased with a similar warranty as a new one, and very low miles. Since you are finding a car with much lower miles than it should have for 50 percent of its original value, you simply can use the car until it reaches a normal mileage point and then sell it within two years at a minimal loss (usually less than 10 percent from your buying price). As many of you may not be familiar with the car market, keep in mind that great low mileage examples of your favorite cars are not hard to come by and can be found on a number of car sites selling used cars or even established players are also offering used cars with warranty like Maruti or Mahindra and Mahindra. We are not asking you to not to buy a new car but we are only suggesting that it is no point buying a new car at a hefty loan which comes at a higher rate of percentage and it will keep on burning a hole in your pocket unlike home loan in India which comes at a cheaper rate and also provide tax incentives. We only advise you to undertake only one loan and that is home loan as it comes with innumerous advantages. You can check incentives of home loan here in India. Thus take a minute off from the idea of flashing a brand new car with a loan and instead have a little patience and undertake the due diligence which can save you a tremendous amount of money on this necessary but depreciating asset. Thus take decision on major purchases with a cool mind and avoid undertaking such decisions at a spur of moment or flashing your plastic card and making a hasty purchase. Last but not least do not get carried away by hefty discounts being offered by these car companies as these days they have shifted their strategy of making money from after sales and service rather than from a sale of a discounted car.